I think that headline needs another "Justice League," don't you? 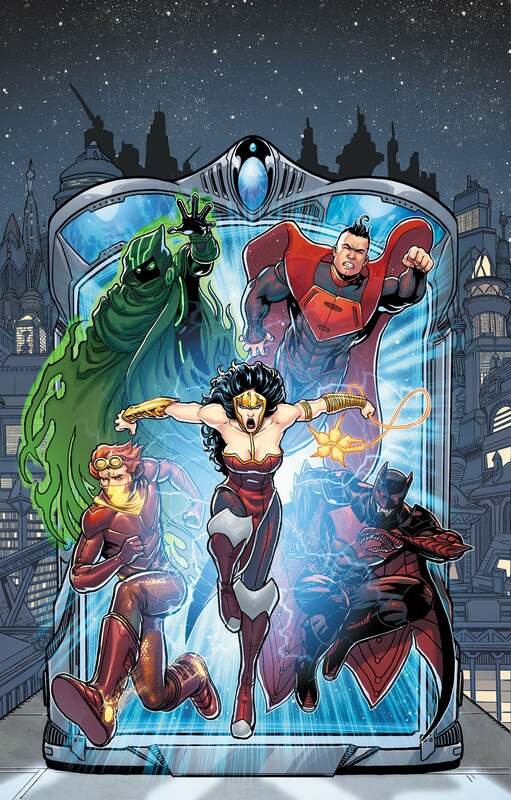 Yesterday, longtime Justice League International artist Kevin Maguire tweeted "I think I just got fired," seemingly an indicator that he was off Justice League 3000, the new title he was set to launch in October with Keith Giffen and J.M. DeMatteis. Today, DC Comics have confirmed that Maguire is off the title, replaced by longtime JLA artist Howard Porter--who did the character designs that Maguire was to be working from for the series. The number of artists more closely associated with beloved runs on Justice League titles than Maguire and Porter is pretty small, but the two eras--the Giffen/DeMatteis "soap opera" or "bwa-ha-ha" era that Maguire did and the Grant Morrison "modern mythology" or "Big Seven" era drawn by Porter--couldn't be much more different without actually being different publishers. "The guy who nailed the character designs on the interior of the book? The guy who teamed with Grant Morrison to make JLA a hit? This is what they call a no-brainer," Giffen told Newsarama. "Welcome aboard Howard. I think this is the beginning of a beautiful collaboration." As a result of the creative change, the series will now debut in December 2013, presumably with a cover different than the Maguire-drawn version seen at right. For his part, Maguire (who had tweeted "Anybody have a comic they want drawn?" after revealing he was off the book) followed up on Facebook, saying, "After a few confusing hours, I kind of know where things stand and why. Though I’m still a bit perplexed as to how it got to this point. 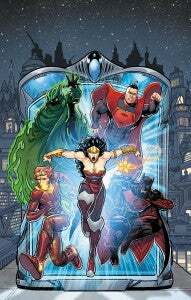 As for work, I’ve been offered some fun interesting stuff, many of which came from DC, who were very eager to keep me working there, so I’ll be fine on that score, but it would have been great to do another Justice League with Giffen and DeMatteis. Oh,well…onward and upward…"